Women experience a lot of changes with menopause, both internally and externally. One of the most common external changes is a decrease in skin elasticity. This can lead to sagging skin and wrinkles and can certainly make you look older. In fact, a study published in the Journal of the American Geriatrics Society found that elasticity decreases by 0.55% every year after menopause, and those declines can add up over time. So the researchers wanted to find out if they could decrease these declines. To do the study, the researchers enlisted 176 post-menopausal participants with an average age of 61. They first compared their skin elasticity to that of premenopausal subjects to determine the rate of decrease. Then they gave the participants hormone replacement therapy, a common response to the challenges of menopause. After 12 months, they measured the participants' skin elasticity again. Not only had the decrease stopped, but their skin elasticity had actually increased by 5.2%! These are pretty significant results for postmenopausal women. However, not everyone is a candidate for hormone replacement therapy, and others simply prefer not to try it. If that's you, I have good news: You don't have to resign yourself to sagging skin after menopause. With the right combination of diet and supplements, you can keep your skin healthy and strong into middle age and beyond. Begin with Integrative Digestive Formula. You might not think that your digestion and your skin elasticity are very closely related. But better digestion means that the food you're eating will be better digested and the nutrients and trade nutrients will be more bioavailable. This, in turn, will improve your skin quality. The catch is that you have to actually eat a nutritious diet. Skin elasticity is very vulnerable to inflammation, so you want to be sure you're consuming plenty of antioxidants from whole foods, particularly fruits and vegetables, and avoiding inflammatory substances like sugar and fried foods. MycoPhyto Complex is a blend of six medicinal mushrooms that support the immune system and reduce inflammation. Some people like to apply medicinal mushrooms topically, and studies have shown that doing so will improve skin elasticity. You can get similar results from the inside out by taking this formula. 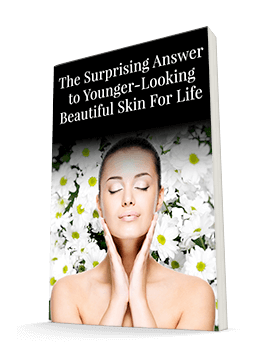 You will have to be patient and give it time to work, but you will ultimately enjoy a brighter, tighter complexion. Just because your hormones are changing doesn't mean your skin has to change with them!